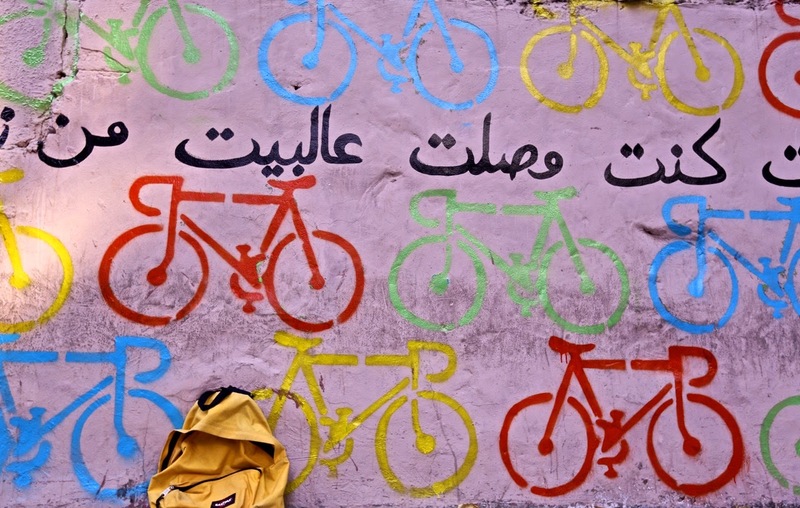 Through my university years without any means of transportation besides, well, myself - l'd daydream of a utopian Beirut where those who bike have a right-of-way, bike racks, and their very own lane (and of course, no stigma attached to women on two wheels). If we kickstart a trend of biking, the whole means of transport would be normalized. Once that happens, the infrastructure will slowly adapt to welcome it. The way I seen things running around here: we complain about the lack of infrastructure but rarely notice that our habits organically make it come to life. OK, we're not getting country-wide bike racks within the next year. But with energy like that of The Chain Effect, we're coming pretty close to getting something. 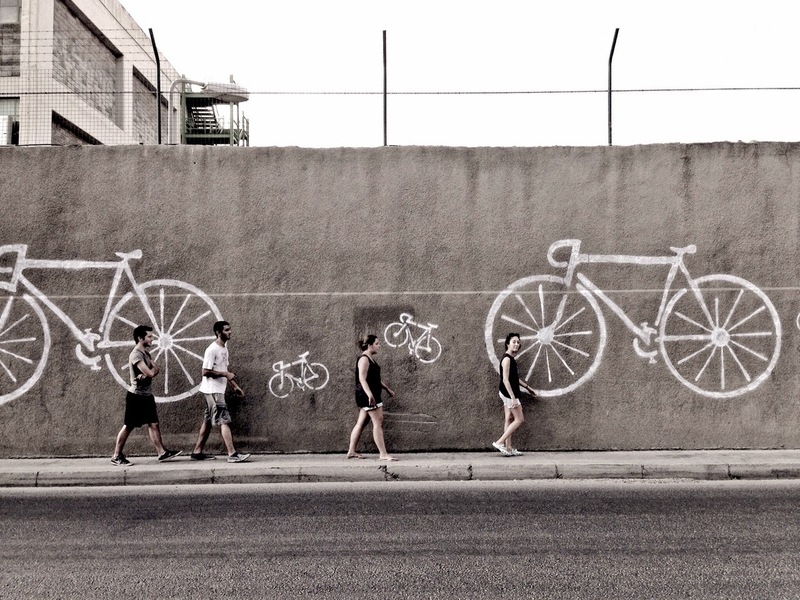 The Chain Effect is a collective comprised of artist-cyclists intensely working on normalizing and trending the bike as a mobility tool (as opposed to a casual Sunday pastime). 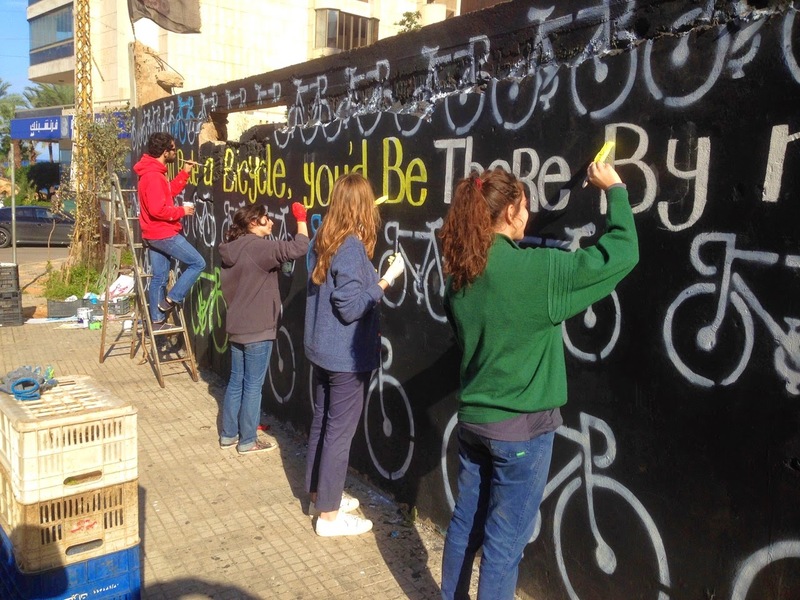 On Beirut walls - six so far - they've stencilled lots of jolly, passive-agressive bikes and painted witty words that poke fun at those stuck in traffic. 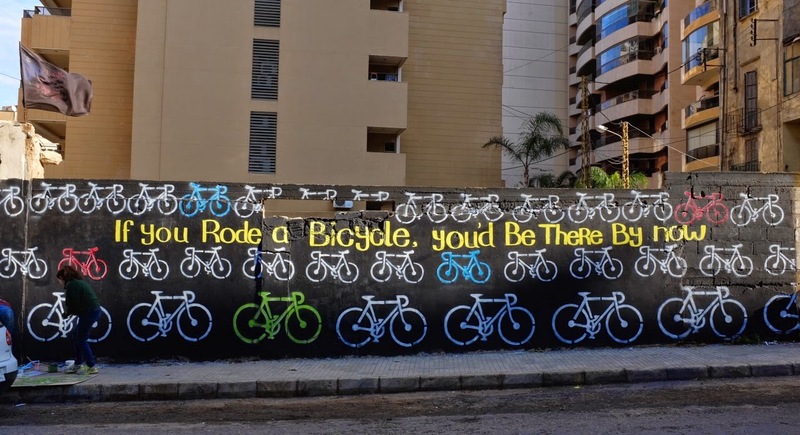 "If you rode a bicycle, you'd be there by now" jokes one wall. "Burn fat, not fuel" points another. They're the ultimate bike movement that the country needs. 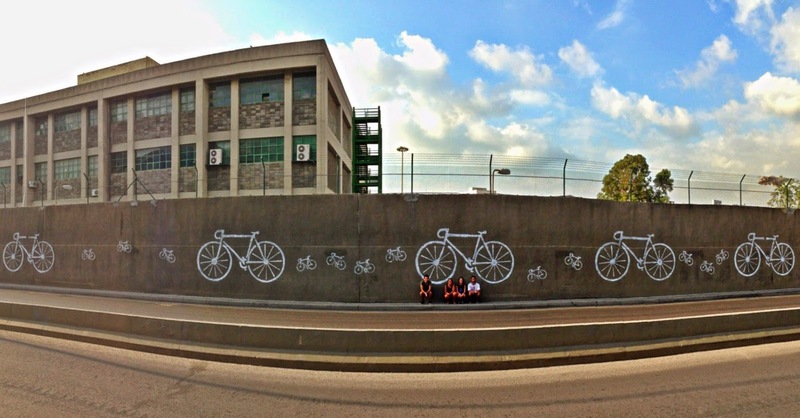 Scroll through to see some of their works around Beirut, along with words from the founding team. As a start, we want to generate discussions and provoke people to think about cycling. A bicycle is revolutionary - it has the power to transform urban landscapes and social frameworks when introduced into daily lives and travel patterns. It is the ultimate symbol of freedom, equality and sustainability in a society. 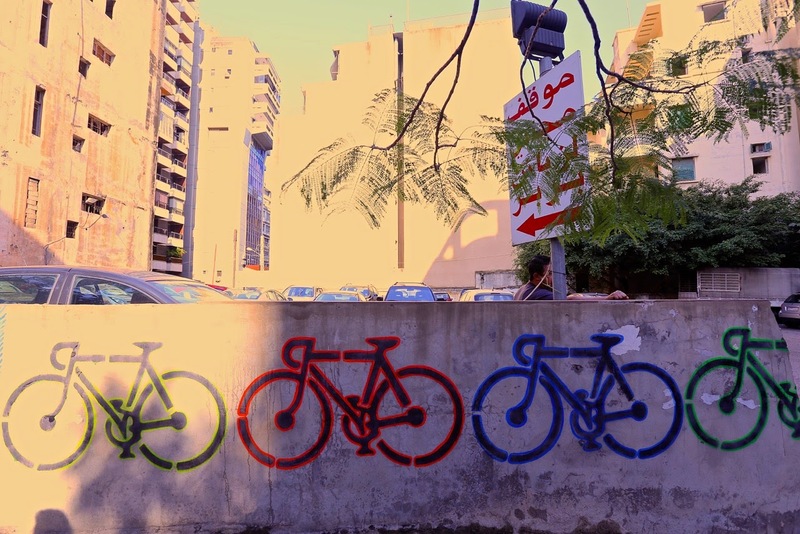 Cycling is not viewed as a means of transport in Beirut, and the city is not the most cycle-friendly. However, congestion, is a major issue bearing high costs on the economy, society and the environment, which could be relieved if more people chose alternative means of transport. 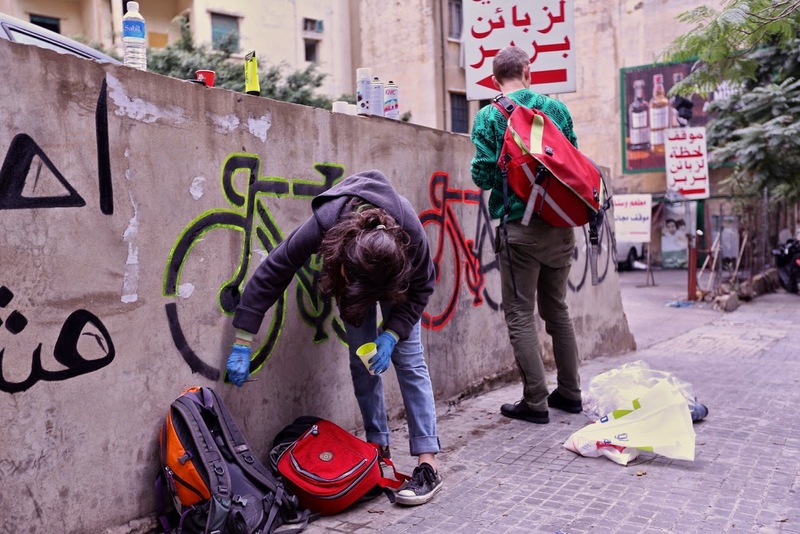 The aim is to provoke drivers, specifically daily commuters within Beirut, to see the bicycle not just as a toy but as a sensible, convenient way of getting around in gridlocked city, and perhaps reflect on their travel patterns and time spent in traffic. 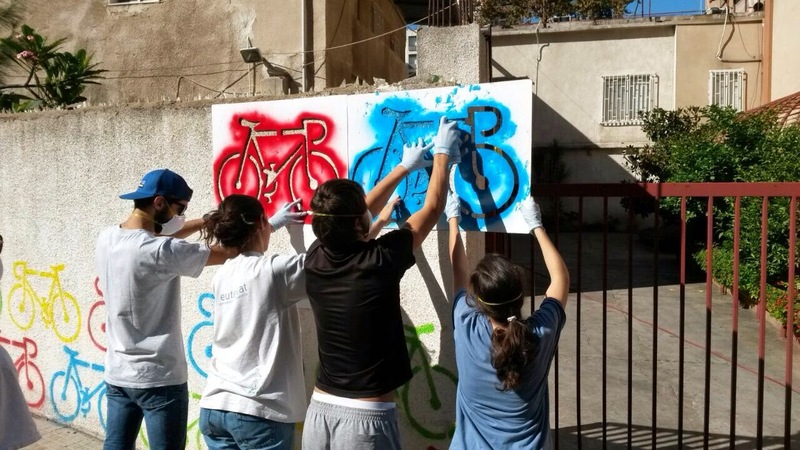 Our mission is to promote the bicycle as a sustainable and convenient form of urban mobility and encourage its use in Beirut. 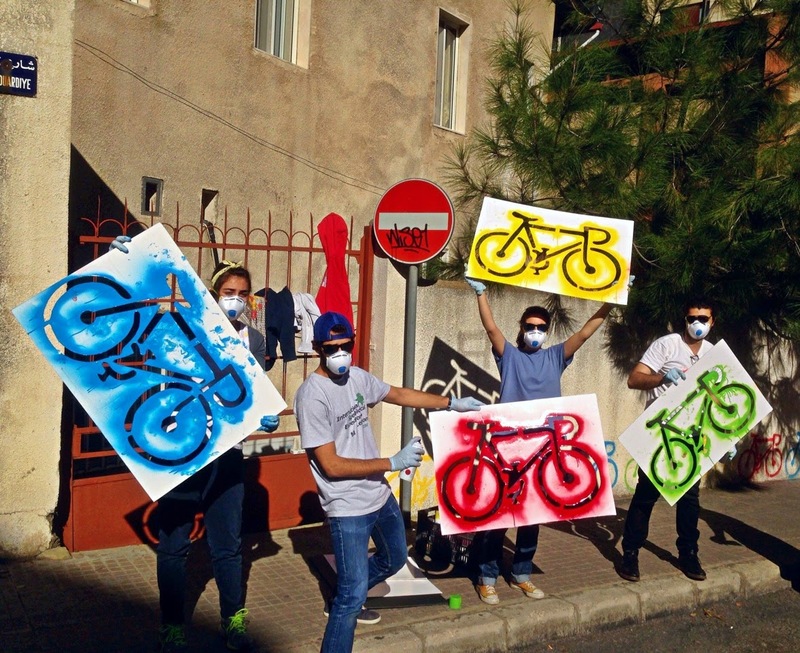 We do this through street art, public installations and community painting. A huge thank you to the group for actively working towards change on all our behalf. The Chain Effect will soon be organizing events for everyone to participate in. Stay tuned to their Facebook Page.